As bloggers, we are used to seeing spam comments in our WordPress Dashboard daily. But should we keep on checking each and every comment ? Obviously not. When WordPress offers such a wide range of SPAM Plugins, then why you need to worry about it. Today, I will be listing out 7 Antispam WordPress Plugins to protect your Blog against Spam Comments. I won’t be including Akismet as I’ve already listed it in the Top 10 WordPress Plugins list. This is the plugin I’ve been rooting for a long time now. It does it’s job so well that anyone would love it. One needs to install Conditional CAPTCHA plugin alongside Akismet. 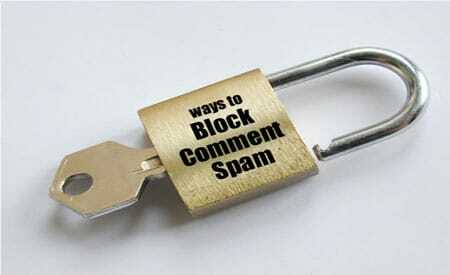 It’s stats shows that, it has discarded 50,000+ SPAM Comments on DailyBlogging. It’s working is pretty similar to Akismet. It first checks whether the comment contains links, spam words, etc. If the comment contains all of that, then it adds a small CAPTCHA. I’ve seen this plugin on many blogs. But since Conditional CAPTCHA works well for me, I don’t use this. What it does is, it adds a small checkbox in the comments field. It will allow you to hit the Submit button only if you check that box. Humans know basic Maths. This plugin is built keeping that thing in mind. Once it is activated, it displays small maths problems. Eg : 5+8 = ?. What impresses me about this plugin is the way it works. It displays proper English words rather than just some random letters. That makes it pretty similar to reCaptcha. But unlike reCaptcha it’s very light-weight. This plugin works on the traditional method of Confirmation via Emails. When a user posts a comment, it sends a Verification mail. Once the user verifies the comment by hitting the verification link in the mail, his comment is approved & posted. SI CAPTCHA is a proper CAPTCHA plugin. It adds CAPTCHA to the comment form as well as on the Registration Page to disallow bots from commenting/registering. Similar to Peter’s Custom Anti-Spam plugin, it has an Audio Verification. Almost all the above Antispam WordPress Plugins are Compatible with WordPress 3.1. Choose the best one of the above for your blog. Have I forgotten an Important Anti-Spam Plugin ? Are you using any of these plugins or just satisfied with Akismet ?? I’ve said in the post that I won’t be mentioning Akismet, as it comes with WP package. I used to use a few plugins to manage spam. I now only use the Growmap Anti Spambot plugin as it seems to do the job really well. I’m not a fan of captchas, both from a blog owner and a blog commentor perspective. At times, the captcha can be hard to read so I either have to refresh it, or enter in an incorrect response and wait for the next one. I do, however, use a captcha on my contact page, for when someone fills out the form. Even I’m not a big fan of CAPTCHA’s. It just wastes time. Rather I prefer Conditional Captcha. I think the Growmap AntiSpam Plugin is the best pick from the list. As for the Captcha plugins, I would rather not use it since that would cause me a loss in few of my visitors but yes, conditional Captcha does some good job too since it shows only too visitors who use bad/banned words or links. Never the less great list. I’ll be giving GASP a try for sure. Many bloggers are using it these days. Hmm maybe you are right Usman but I using Akismet from last few years and never thought for anything else . It is working fine and blocked almost 21k+ comments on my blog . Akismet is the king of Anti-Spam Plugins. But still it requires an additional plugin (Any one of them mentioned in the above list) to block SPAMS Completely. These are awesome plugins. Growmap antispam is one of the best spam protection plugin out here. Anyways, Thanks for sharing this great post. Just shared it on su. Yeah, CAPTCHA works very well and this anti spam bot plugin would be working too good with the great support. And, i would like to say thanks for Mani for given great article on here. Dude m using it since i started blogging ! Could u tell me why dont u prefer it? In the starting para’s of the post I’ve said that I won’t be including Akismet as it comes to WordPress by default. I just need one, Akismet and it works darn good! Good that Akismet alone works for you. I prefer Akismet + Conditional CAPTCHA Combo. Actually, its one of the great article with some easy tips to follow. And, Akismet is one of the accurate path to filter the comments on here. Its great info, thanks a lot for given here. Thanks you for stopping by Preethi. Let us know which one you’d rate the best out of the 7 plugins after testing. I want to make a review website but i dont know what plug-ins i need and i dont know how to code any help. Antispam bee is also a Strong Competitor for this. I have Tried it and till now it has worked fine for me. Conditional CAPTCHA is nice tool but as guest it looks boring to type long code for just to post one comment…..
More recently I use Comment SPAM Wiper. It has a high rate of detection and the API that works with the majority of platforms. It offers all the protection you need (comment, trackback, pingback, etc.). Well I use Comment Email verification plugin to prevent spam along with Akismet. However, the spammer will try to spam your blog if you don’t use Akismet. Big advantage of Akismet is it automatically blocks the spam and never send(except some exception) the spam in your comment section(be it awaiting moderation or whatever). But rest other like captcha etc aren’t too usefull, as spammer might use manual spamming too. Appreciate this post. Let me trry iit out.